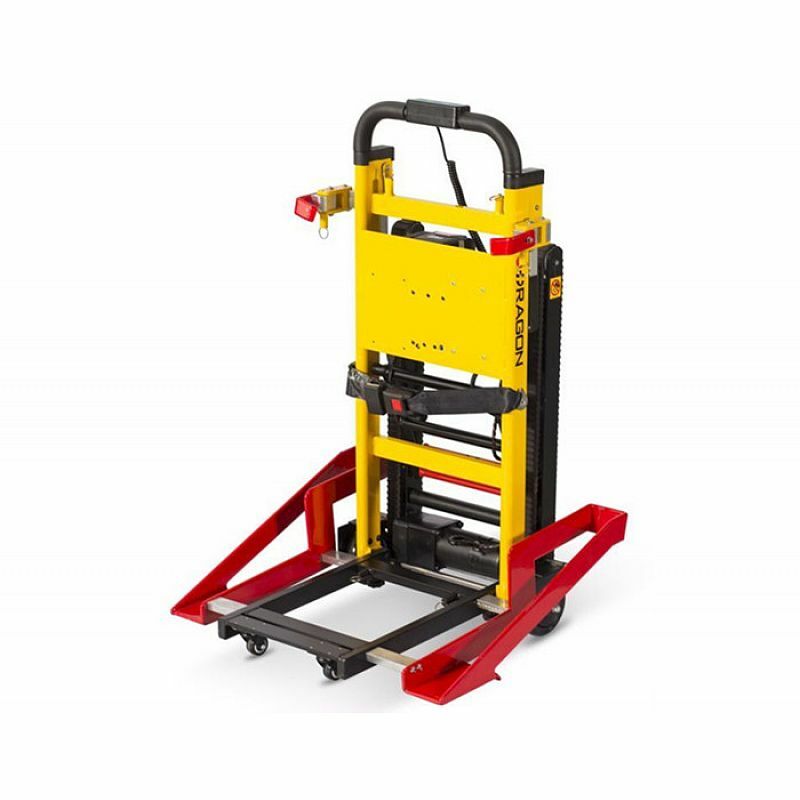 The main use of high-rise buildings mobile chair lifts for wheelchair transfer of patients or wounded persons up and down stairs, only need one person to operate. For hospitals, emergency centers, fire, emergency ambulances, family transfer patients up and down the stairs to use. 1. For hospitals, emergency centers, fire, emergency ambulances, family transfer patients up and down the stairs to use. Not only man but woman also can operate it. 2. 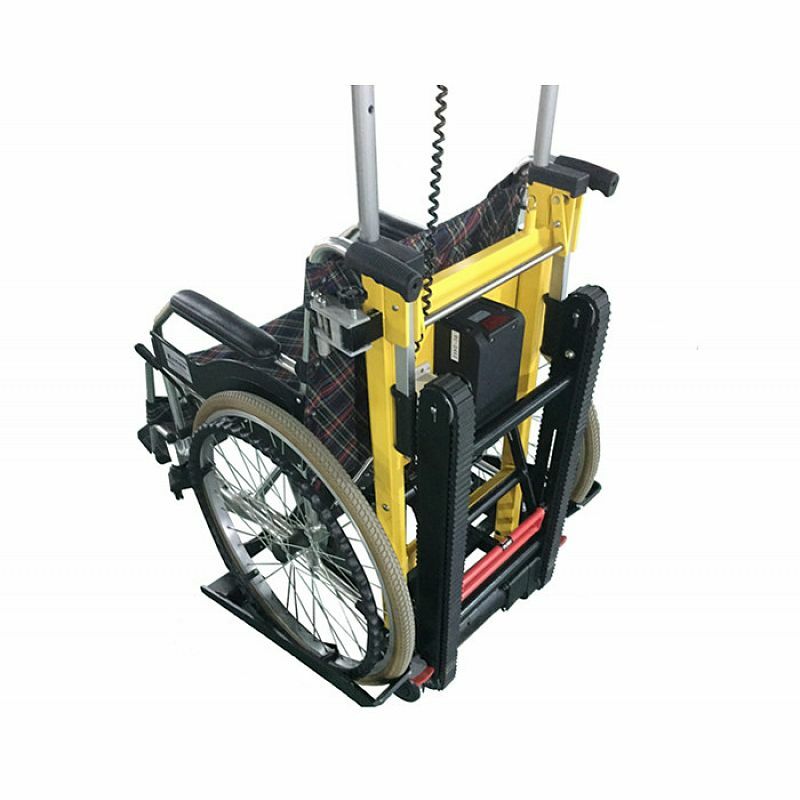 The main use of high-rise buildings mobile chair lifts for wheelchair transfer of patients or wounded persons up and down stairs, only need one person to operate. 3. 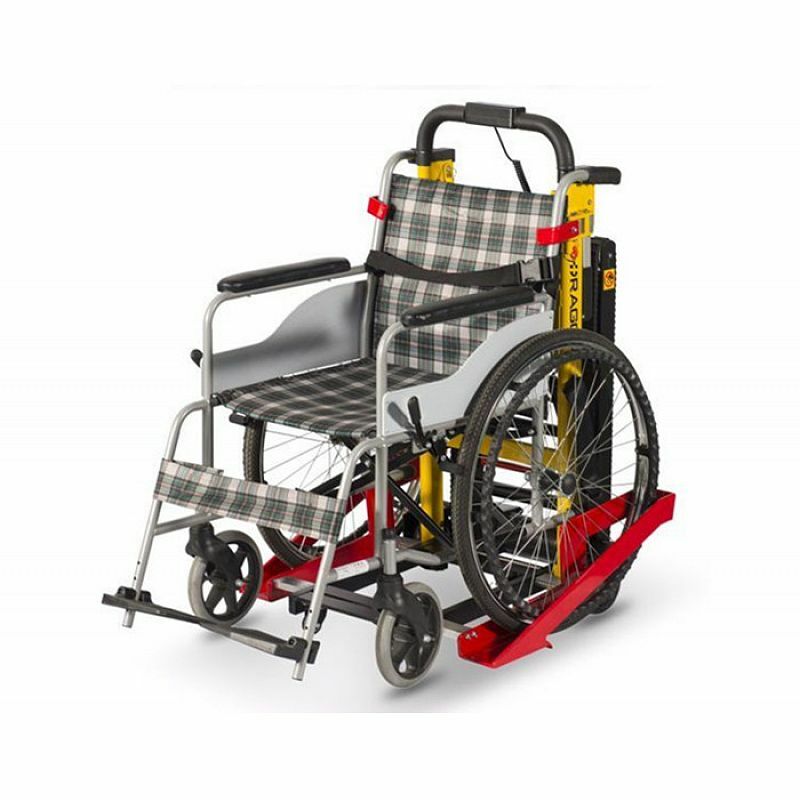 Three position lift bar help any size operator move the mobile chair lifts for wheelchair on the stairs. 4. Two rear lift handles for transfer patients and wounded persons on the ground. Also the wheelchair can be used only on the ground without the mobile chair lifts for wheelchair. 5. There are two rear castor with brakes and four universal wheels, castor size: diameter 125/41mm. 6. Its frame is made of high-strength aluminum alloy materials. 7. A unique track structure, convenient and safe when the stretcher down the stairs. 8. 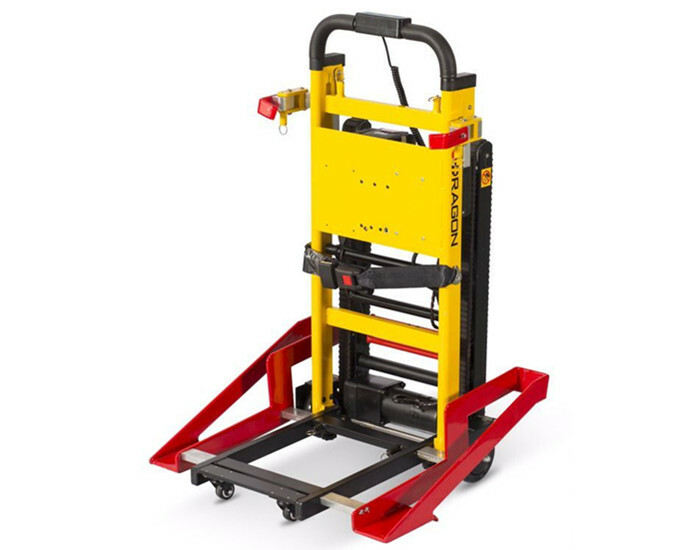 Besides, the mobile chair lifts for wheelchair can be used for carrying goods without the adjusted wheels loading parts. 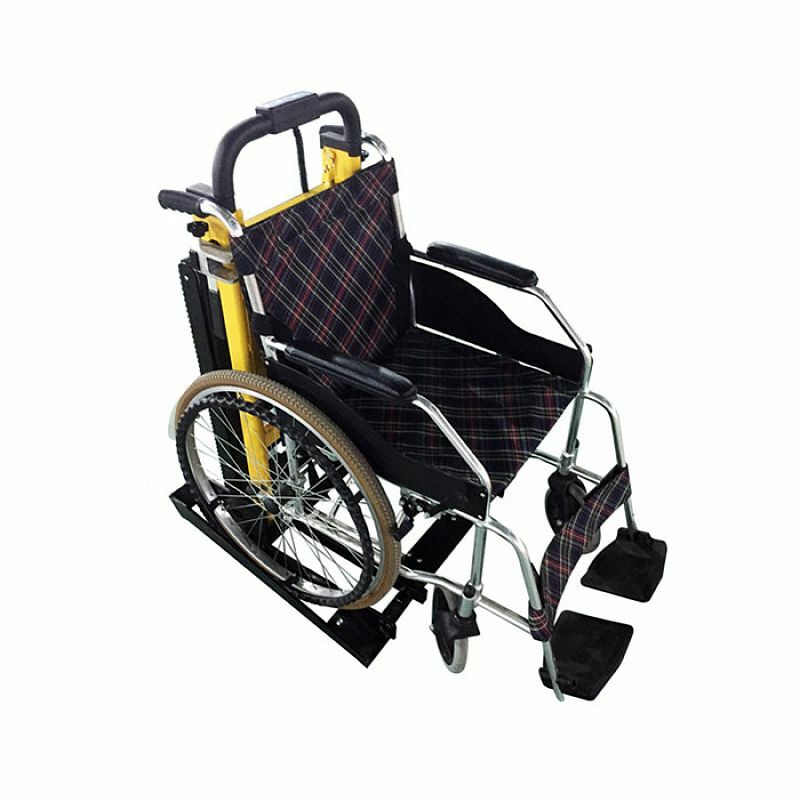 The track angle after back rest with three position adjustment, suitable for different floors.